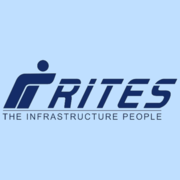 RITES Ltd Recruitment 2019 - Apply Online for Assistant & Jr Assistant Posts in RITES Ltd, Gurgaon, Haryana on Regular Basis. Online Applications are invited by RITES Limited from 30 Jan 2019 to 19 Feb 2019 for 2 vacancies. (5) Master’s Degree of a recognized University in any subject other than Hindi or English, with Hindi and English as compulsory or elective subjects or either of the two as a medium of examination and the other as a compulsory or elective subject at the Degree level. Candidates should have minimum 5 years post-qualification experience of translation work from Hindi to English and vice versa in Central or State Government Office, including Government of India Undertaking or private firm of repute. Eligible candidates may apply online at RITES Ltd's website (direct link is given below) from 30 Jan 2019 to 19 Feb 2019. Candidates log on to https://recruit.rites.com/. Click on “New Registration”, if you are a new user. h. Any other document in support of your candidature.